Developer Bob Rolader answers questions from the Fayetteville City Council. Photo/Ben Nelms. The conceptual proposal by Fayette Ventures to establish a 129-home subdivision along the Ga. Highway 92 Connector in south Fayetteville was approved March 21 by unanimous vote. The proposal by Bob Rolader resulted in approximately 30 acres being rezoned and another 30 acres being annexed and rezoned to make way for the proposed 129 homes, reduced from the 145 homes requested in February. The property is bordered by Ga. Highway 92 and the Hwy. 92 Connector. The adjacent Kingswood Estates for the first time gave its support to the project, noting that Rolader had done a good job listening to neighbors’ concerns. Part of the council approval included 60-foot and 70-foot lot widths, an 1,800 sq. ft. home minimum and limiting the development to 129 homes. The original proposed concept plan, reviewed by the Planning and Zoning Commission for the first time in July 2016, included 192 single family detached and 78 townhouses over the entire 98-acre site. Approximately 39 single-family detached homes would be located on the additional 19.94 acre parcel to be considered for annexation. In February 2017, Rolader asked that the application be tabled until there was a ruling on the South Side Master Plan lawsuit between the property owners. After a ruling on the case, Rolader requested to be placed on the Planning and Zoning Commission agenda. The result of the court decision rendered the South Side Master Plan null and void. A vote by the Fayetteville City Council to allow alcohol consumption in designated areas of the downtown Fayetteville area and throughout Pinewood Forest is being delayed until April 4 to address some of the details of the proposal. City Manager Ray Gibson at the March 21 meeting requested that the vote by delayed until April to give staff time to speak with the school system, which owns Tiger Trail, of which the southernmost portion of the street is situated in the proposed open container district. Gibson said staff would also like to fine-tune the boundaries of the district and is working with the county in that regard. 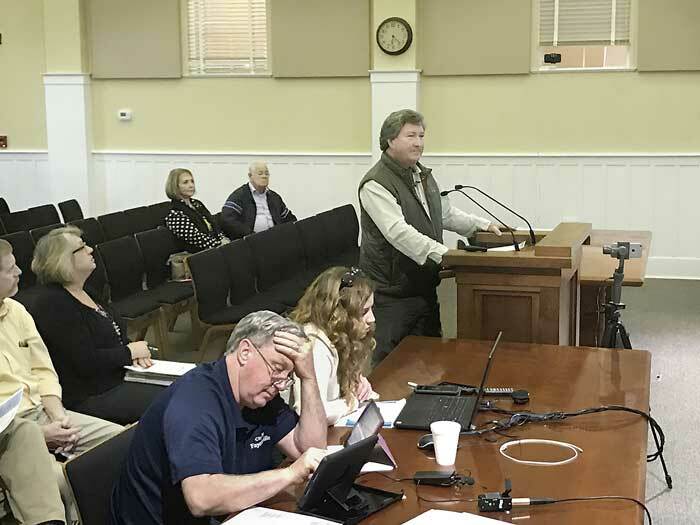 The Fayetteville City Council by unanimous vote on March 21 lifted the annexation moratorium that was put in place in August 2018. City staff recommended the move now that a two-step annexation process is in place. The moratorium on annexation imposed in August was followed by an extension in November. Also in November, the council adjusted its annexation process to include to a two-step process like the one used for annexation requests in Peachtree City. 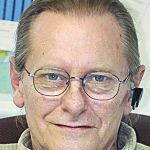 City Manager Ray Gibson at the March 21 meeting recommended that the city move forward with accepting new applications now that the two-step process is effective. Under the former annexation process, city staff would meet with the rezoning applicant to discuss the potential feasibility and secure an application which, if feasible, was submitted to the planning department for review. Under the current annexation process, Step One requires the applicant to complete the Step One application and the required documentation, including a narrative. Once reviewed by staff, the proposed annexation will go before the City Council for review. If viewed favorably, the proposal can proceed to Step 2. Step Two requires a separate application that includes the original filing and additional required supporting documentation. If determined by staff to be complete, the annexation request will go before the Planning and Zoning Commission for consideration.